Journey to the West (西游记), written by Wu Cheng’en in the 16th century, is one of the Four Great Classical Novels of Chinese history. This novel has been translated into English, under several different names such as Monkey, Adventures of the Monkey God, and Dear Monkey. The story of Journey to the West is a household legend and myth throughout not only China but also parts of East Asia. The story, while fictional, has historical roots based on the real-life monk Xuanzang’s pilgrimage to India, to retrieve Buddhist scriptures (thus, the Journey to the West). The novel has very strong roots in Chinese mythology and religion – the character list includes the pantheon of Taoist gods and Buddhist bodhisattvas – and is also representative of some modern religious beliefs. It is a tale of an adventure of a group of pilgrims towards redemption and enlightenment. Seeing as the novel is 100 chapters long, it would take far too long for me to write an adequate synopsis. As such, I will compensate by writing a detailed description of the main characters in this adventure. The monk Xuanzang (aka Tang Sanzang and Tripitaka) is set on course to the West in search of ancient Buddhist scriptures. Being a monk who is helpless in fending for himself, the bodhisattva Guanyin helps him find disciples who help and protect him on the course of the journey. The journey offers the chance for redemption for his disciples and forgiveness for previous sins. His disciples are Sun Wukong, Zhu Bajie, and Sha Wujing. 1. 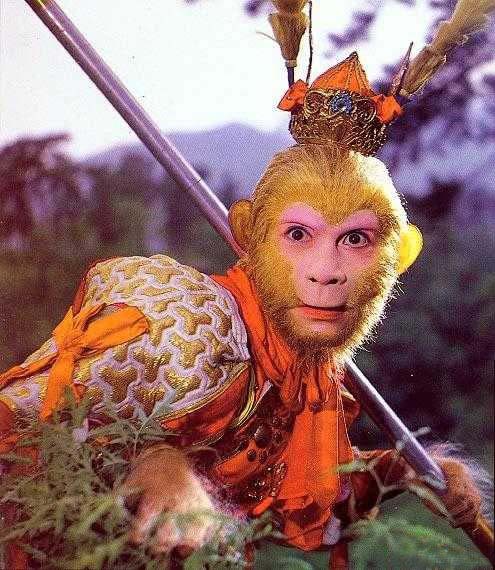 Our main character is Sun Wukong (Monkey King) and he is probably the most badass hero in all of Chinese literature. Wukong is a monkey born from a “stone nourished by the Five Elements”, who in addition to having 72 polymorphic transformations and the secrets of immortality, can travel 54,000 kilometers in a single bound (this seems like a bit of random number, but it’s worth taking note that the Equator is only 40,000 kilometers long). His weapon of choice is a magical golden staff that was originally used to measure ocean depth and goes by the nickname “Pillar that supports the oceans”. Oh, did I also mention that his powers surpass the forces of all the Taoist deities combined? Unfortunately for poor Wukong, he is sealed under a mountain by the Buddha for five hundred years and is given the chance for redemption only if he accompanies Xuanzang on his journey to the West. Thus is the story of Xuanzang’s first disciple. 2. The second character is Zhu Bajie (oft translated as Pigsy or Pig). In his previous life, he was Marshal Tianpeng, commander of the Heavenly Naval forces, a legion of 100,000 strong. During a party, he drank too much and attempted to flirt with the moon goddess Chang’e, resulting in his banishment to the mortal world. However, due to a gross error at the Reincarnation Wheel, he was reincarnated as a half-man half-pig being. His powers, while admirable, are not as powerful as Wukong’s – Bajie is capable of 36 transformations and can also travel on clouds, albeit at a slower speed. He is most noted for his fighting abilities in water, that which surpasses even Wukong’s. He is characterized by excessive greediness, for both food and women, and it often takes a good criticizing from Wukong to put him back in line. Thus is the story of Xuanzang’s second disciple. 3. Our third disciple is Sha Wujing (translated as Sandy or Friar Sand). He, like Bajie, was previously of immortal status – he was the Curtain Raising General – but was banished to the mortal world after accidently smashing a crystal goblet belonging to the Heavenly Queen Mother. As punishment, he is transformed into a hideous monster, who spends his time brooding in the Flower Sands River and terrorizing nearby villages. 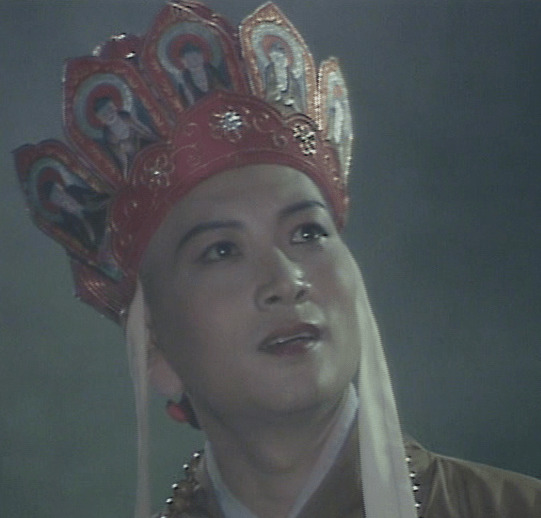 Once subdued by Wukong and Bajie, Wujing is inducted into Xuanzang’s party. He is the weakest of the three disciples, capable of only eighteen transformations. He is the quietest, most logical and most polite of the three, and always seen taking care of his master. Since he has no notable flaws or other obvious characteristics, he is often considered a minor character, despite being a member of the party. Thus is the story of Xuanzang’s third disciple. 4. 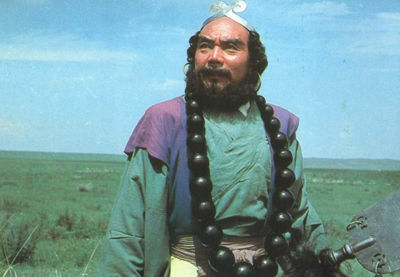 There is a fourth oft-forgotten disciple of Xuanzang’s, which the third prince of the Dragon King, Yulong Santaizi. He was nearly executed for insubordination but was given the chance for redemption by Guan Yin. After eating Xuanzang’s horse, Guan Yin transforms him into white horse that Xuanzang rides on, and is known hereafter as the White Dragon Horse. There is one very minor arc when the White Dragon Horse takes another form, but throughout the 100 chapters of the novel, he has almost no speaking role. Thus is the story of Xuanzang’s fourth disciple. So now we have the full cast of our heroes. But of course, there’s gotta be a plot to this hundred chapter novel, isn’t there? Actually, there really isn’t too much of a plot. If anything, the Journey to the West is composed of many small vignettes – small arcs on their quest to the West. This is because the Buddha, rather meanly, declares that Xuanzang must undergo 81 challenges before he can attain the scriptures. It’s probably important to note that these “challenges” aren’t just puzzles or forks in the roads; it’s more akin to giant fire-breathing monsters trying to eat them. Evidently, somebody thought it would be funny to spread a rumor that eating the flesh of the holy monk Xuanzang would result in immortality, and as a result monsters in a ten mile radius will flock like vultures towards his party. The entire novel can pretty much be summed up as follows: “Xuanzang is captured is captured by a demon. Wukong and co. save him. They continue on their journey. Repeat eighty times.” When they eventually reach the doorsteps of the Buddha’s house, the pilgrimage is reportedly to have taken fourteen years. These five travelers are rewarded with eternal glory – Xuanzang and Wukong achieve Buddhahood, Wujing becomes an arhat, the White Dragon Horse becomes a naga, and Bajie (in accordance with his greediness) is promoted to an altar cleanser (he basically becomes the guy who eats all the offerings at the altars). Thus is the story of the Journey to the West. This entry was posted in Culture, History, Literature and tagged Han Sum, Journey to the West, Monkey, Sha Wujing, Sun Wukong, Xuanzang, Zhu Baijie. Bookmark the permalink.